A vibrant and striking edition portraying the simple yet emotive art of Charles. M. Schulz, creator of PEANUTS™ . You’ll love the color, it really POPS in person! A celebration of the classic comic style, It looks incredible on the wall and will be an important addition to any living space. "Friends" is an official Limited Edition Chromatic Pigment Ink Fine Art Print on 308gsm acid-free Photorag paper, created from the original artwork archived at the studio. 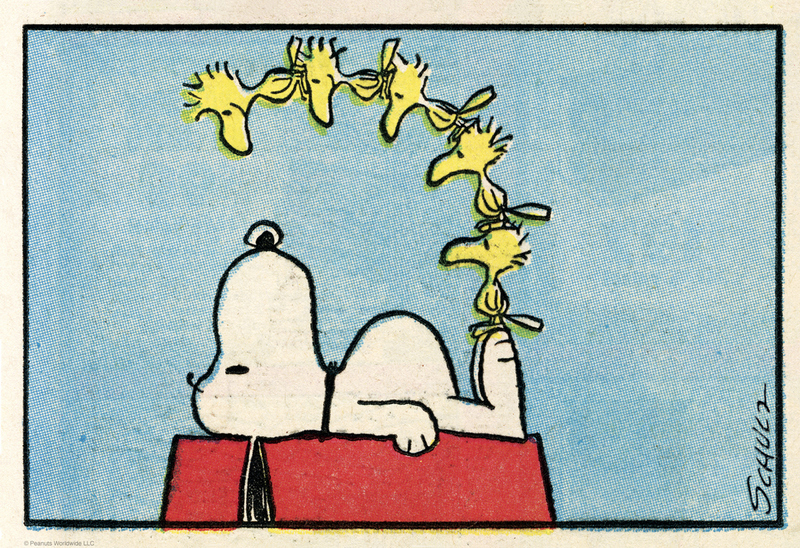 Celebrating 65 years of PEANUTS™ Heritage. Hand numbered, includes Certificate of Authenticity. Measures approx. 32" x 22" and published to a strict edition of only 299 pieces. "Friends" Limited Edition Chromatic Pigment Ink Fine Art Print created from the original artwork archived at the studio. Celebrating 65 years of PEANUTS™ Heritage. Hand numbered, includes Certificate of Authenticity.